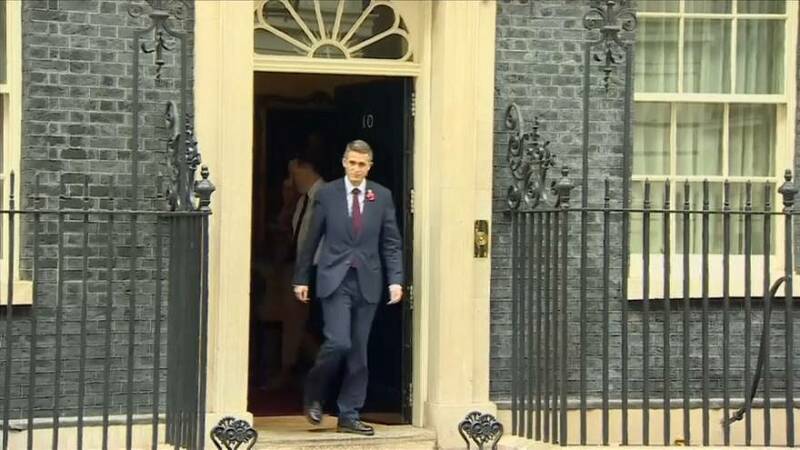 British Prime Minister Theresa May has appointed Gavin Williamson as her new defence minister after his predecessor resigned in a sexual harassment scandal. Just hours after Michael Fallon quit saying his behaviour in the past fell “below the high standards we require of the armed forces”, May appointed Williamson, a rising star in her ruling Conservative Party. Weakened after losing her party’s majority in a June election, May had to move swiftly to plug the hole in her cabinet, at odds on everything from Britain’s departure from the European Union to the government’s austerity agenda. Williamson has moved swiftly through the ranks of the Conservative Party and was appointed chief whip by May in 2016. His appointment was a surprise for some Conservative MPs as he has no former experience of the armed forces. Julian Smith replaces him as the new chief whip. Damian Green, May’s first secretary of state, has also been accused of making unwanted sexual advances to an academic and journalist 30 years his junior. He vehemently denies the claims.